In January 2018 a new GP contract was agreed by the Scottish GP Committee and the Scottish Government. This paves the way for a new approach to primary care across Scotland, and in general this is to be welcomed. 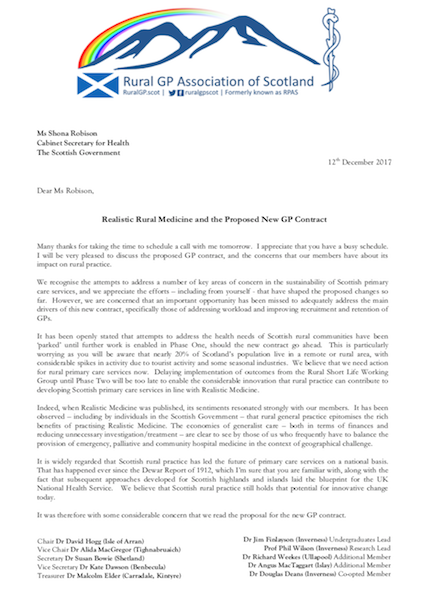 However it has become clear to our committee, our members, and our rural communities that the challenges of providing rural primary care have not been adequately addressed in this contract, and to date we have seen little from our Scottish Government to address these concerns. We’re not wishing to scaremonger. As GPs we’re used to dealing with uncertainty, and processing large amounts of information. We recognise the importance of considered, credible discussion amidst complex and far-reaching proposals. However the more we learn about the way in which the Scottish Government intends to implement the new contract, the more that we believe that the needs of rural communities really have been undervalued and poorly considered. This page has been set up to explain our concerns in more detail, highlight key resources, and explain how rural GPs and our communities can engage in the process of convincing our Government that they must #RememberRural when rolling out changes to healthcare provision – and indeed other policies affecting rural public services. 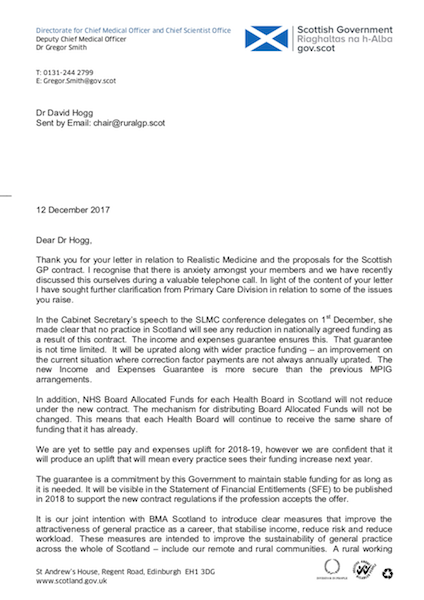 In January 2018 a new GP contract was agreed by the Scottish GP Committee and the Scottish Government. This paves the way for a new approach to primary care across Scotland. 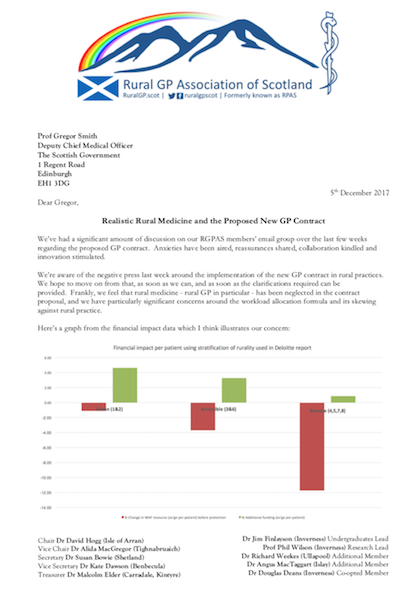 The decision to proceed with the contract proposals was based on a poll of GPs in Scotland in which 39% of GPs cast a vote, of whom 71.5% voted in favour. Whilst we respect the outcome, there have been concerns about access to the voting system, and it is disappointing that over 60% of GPs did not feel engaged enough with the polling process to cast a vote. Central to the new proposals, is a new ‘Workload Allocation Formula’. Unfortunately this fails to take into account any of the challenges of providing GP services in rural areas. The result is that the funding required to provide primary care services in nearly all rural areas has been placed on ‘income protection’ (i.e. no increased resource). 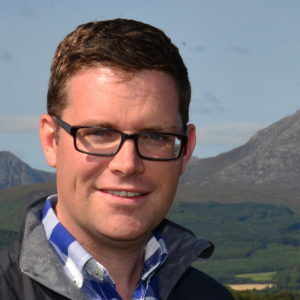 Attempts to find an effective means of reflecting the additional services and needs of rural populations are being ‘parked’ until a later date by Scottish Government. Phase Two is being cited as the time when rural contract concerns will be addressed. However Phase Two is not guaranteed, is subject to a further poll, and is anticipated to be at least 3-5 years away. This is not good enough for rural communities. This situation seems paradoxical. On the one hand, the Scottish government is investing in education, training and service initiatives to improve health in rural and remote areas, and on the other hand the government is undermining these initiatives by undervaluing and demoralising the rural practitioners who are the cornerstone of care. It appears to be a classic example of decisions being made to address issues/concerns in the cities/dense population areas that have unintended negative consequences for people in rural and remote communities. Unfortunately rural practitioners and their communities are left questioning whether these consequences are truly ``unintended``. This is the map that gives us most concern and surprise about the new contract. The new formula simply fails to reflect the workload and services provided by rural GPs and their teams. As a result, the red dot practices (where practices would be losing money) have required to be placed on ‘funding protection’ to avoid cuts of up to 88%. 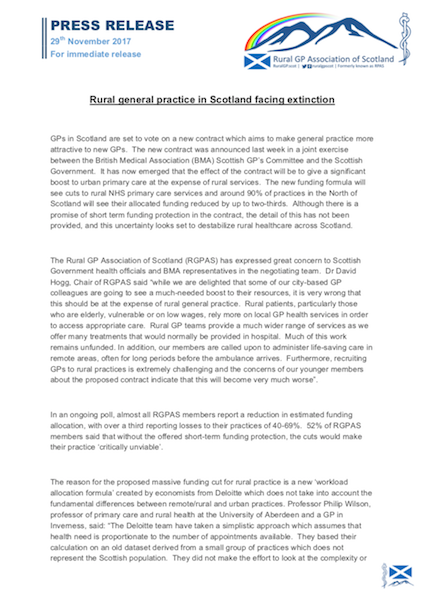 GP services across Scotland have been in desperate need off increased funding and resource for some time, but we are surprised that such an obvious division between urban and rural practices has been deemed as acceptable by the scrutinisation process. Furthermore, Scotland’s ‘Deep End’ practices (who serve Scotland’s most deprived communities) have discovered that much-needed resource to tackle health inequalities is missing too. 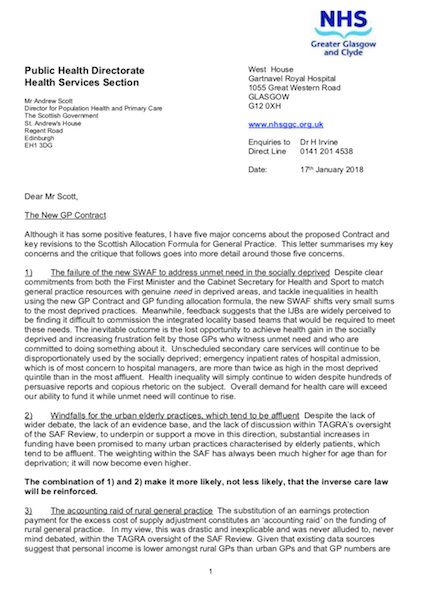 It has come to our attention that this non-rural-proofed approach to public funding allocation may set a precedent for other public services in Scotland. The substitution of an earnings protection payment for the excess cost of supply adjustment is drastic and inexplicable. In my view, it was done with insufficient effort to come up with a robust replacement for the adjustment for excess cost of supply. Whilst attending the relevant TAGRA meetings, I noted that far too little time and effort was afforded to studying this aspect. Those present at these meetings will recall that I consistently expressed the view that the excess cost of supply adjustment was historically too generous and argued that case at the meetings and in writing to the TAGRA chair. However, removing it altogether after so little effort to come up with a replacement is unfair. 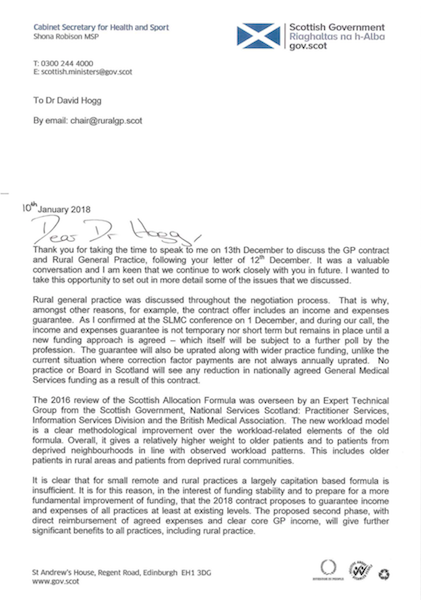 It means that the rural GPs are bound to be very unhappy with what appears to be 'on income support' status where they are vulnerable to reductions in revenue on the grounds that they are being heavily subsidised by an MPIG equivalent. 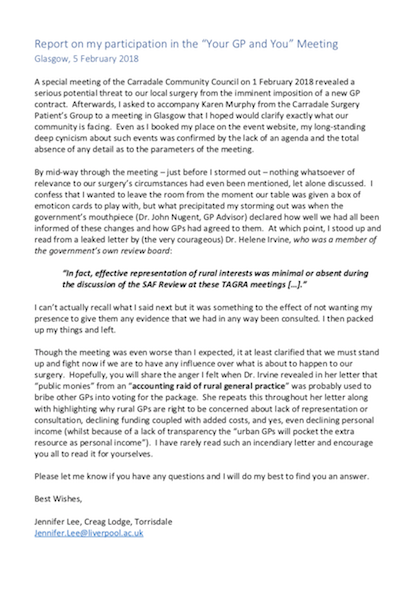 GPs are well aware of the vulnerability of current MPIG funding and will not be assured bystatements that they are protected indefinitely, particularly when funding decisions transfer to the heath board or HSCP. All the official documentation about the new contract can be downloaded from the BMA Scotland website here. The new workload allocation formula is based on an outdated and unrepresentative sample of practices (the PTI dataset was abandoned as worthless by SGHD in 2013), and relies simply on consultation numbers (or Read codes) per patient as the driver for allocation of funds to practices. Funding allocations are now simply calculated on the basis of patient numbers, age and SIMD scores, and the cost of supply of medical services (higher in rural areas) is now excluded from the formula for reasons that have not been made clear. Arguably it is patients in rural and remote areas that are most reliant on their practices to deliver health care. They have no option to register with a nearby practice or attend an A&E department if their practice collapses. Over 90% of practices in the northern Health Boards will be in the income support category. It is rural practices that have the biggest problems recruiting GPs and there are already large swathes of Caithness, Sutherland and the Isles where patients cannot access a doctor without travelling huge distances. 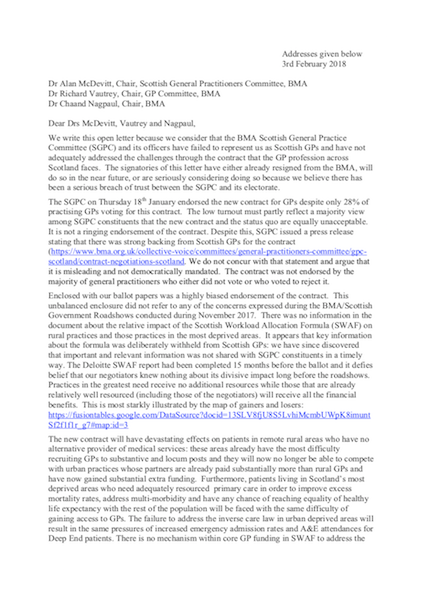 RGPAS remains concerned about the implementation of the new GP contract. 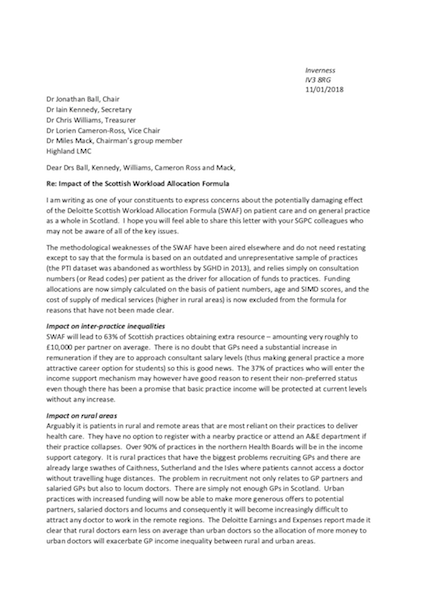 We believe that the Workload Allocation Formula remains unfit for purpose, and are disappointed that such a clear opportunity to devise a rural-proofed proposal for the future of primary care in Scotland has been missed. Our members are ready to engage with the opportunities presented to preserve services, safeguard access to rural primary care, and develop a rural-proofed primary care service. 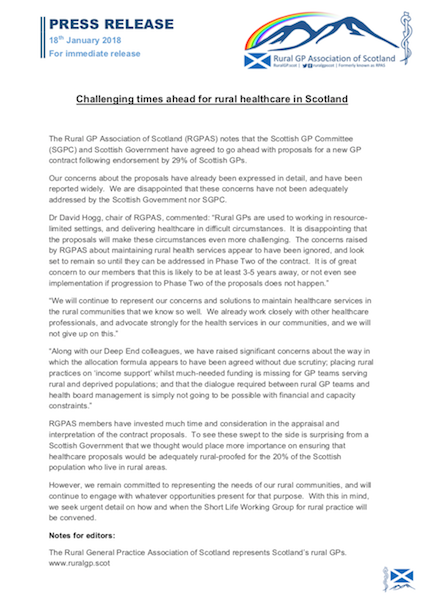 We are committed to ensuring that rural-proofing is compatible with the aims of the new GP contract, and designed to meet the healthcare needs of Scotland’s rural communities. This triangle summarises our concerns, and more information is available in the Executive Summary of our response document ‘Looking at the Right Map?‘. Our members fear that a loss of autonomy will destabilise existing practice structures and teams. Such structures are especially fragile in rural practice. Destabilisation goes against the core aspirations of the proposed contract. We are concerned about the lack of a framework for dialogue along with necessary safeguards to ensure that any such dialogue is time-efficient, has accountability, and is feasible. The economies of rural generalism have not been adequately recognised by the contract. 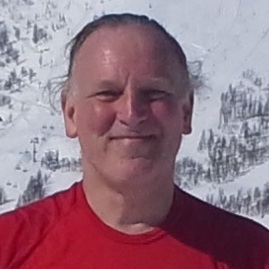 It is evident that for areas with challenges of peripherality and lower population density, the economies of generalism enable cost-effective, comprehensive and realistic patient care. 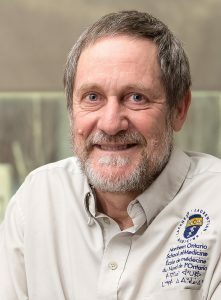 Our members are very concerned that devaluing this core aspect of rural general practice – especially in areas where multidisciplinary team rollout is more challenging to implement – will have a significant impact on maintaining access to realistic and high quality medicine. As mentioned already, there needs to be a clearer commitment to rural-proofing the implementation of the GP contract in order that negative consequences are avoided. A correction factor that adequately reflects the level of workload involved in rural practice, that adequately reflects and funds sustainable rural practice services. 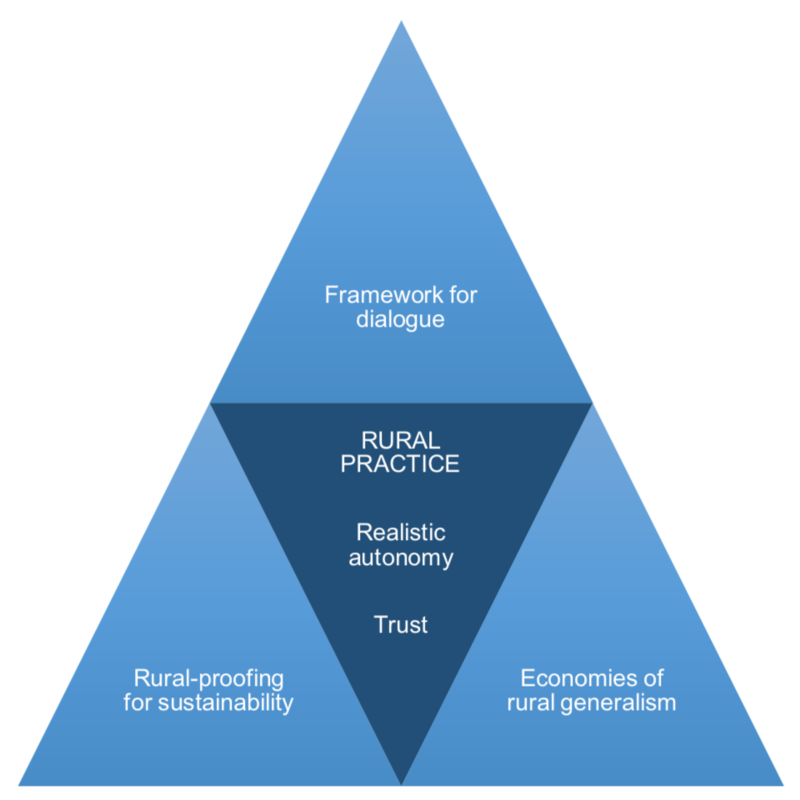 A national rural enhanced service framework to allow practices to retain work, be resourced to do it, and to enable more realistic and effective dialogue between practice teams and HSCPs. 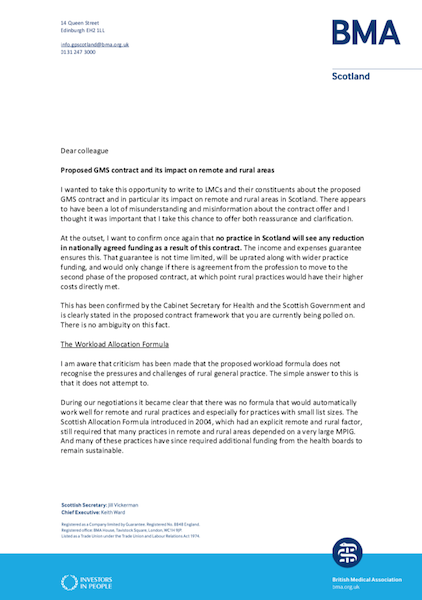 Urgent attention to setting up the rural Short Life Working Group – including a role to scrutinise and evaluate how the new contract is being implemented in rural areas. RGPAS members are ready, qualified and well-placed to contribute to this process. 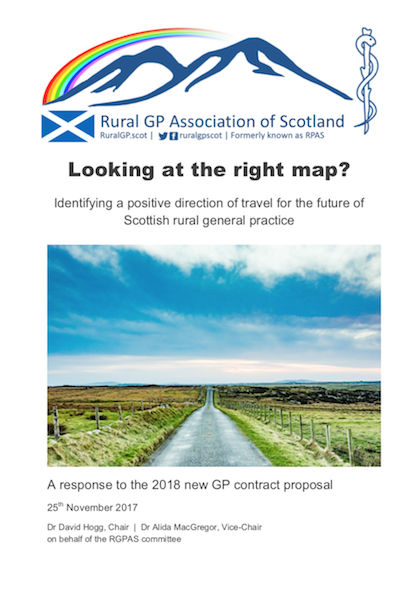 As a rural GP, and chair of RGPAS, I regularly see innovation and commitment to delivering personalised, modern and effective healthcare by rural GPs and their teams across Scotland. The RGPAS committee and its members are committed to contributing positively to address the shortcomings of the new GP contract. 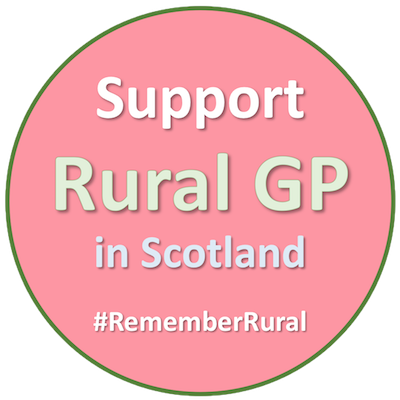 We must ensure that the broad spectrum of rural GP services are supported in order to meet the healthcare needs of Scotland’s rural communities. Get informed – read the documents above, particularly the official contract proposal. Make up your own mind about whether you think that rural Scotland has been adequately considered in the proposals. We welcome consideration and comments. Get engaged – speak to your local patient participation group, contribute your thoughts on social media using the #RememberRural hashtag. Follow @RuralGPScot, @RuralPatients and @ScotRuralAction on Twitter, or visit the @RuralPatients Facebook page. Speak to your MSP and find out if they’re aware of how the GP contract will be implemented – particularly in rural areas of Scotland. You can find your MSP on this page of the Scottish Parliament website.